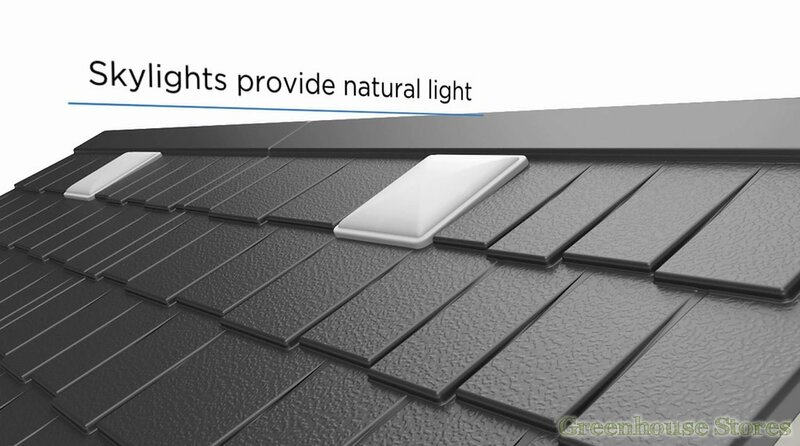 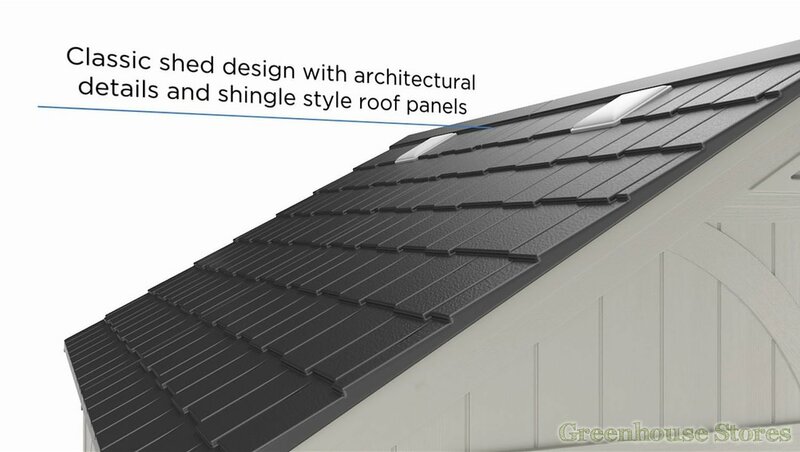 4 Skylight windows - Extra light. 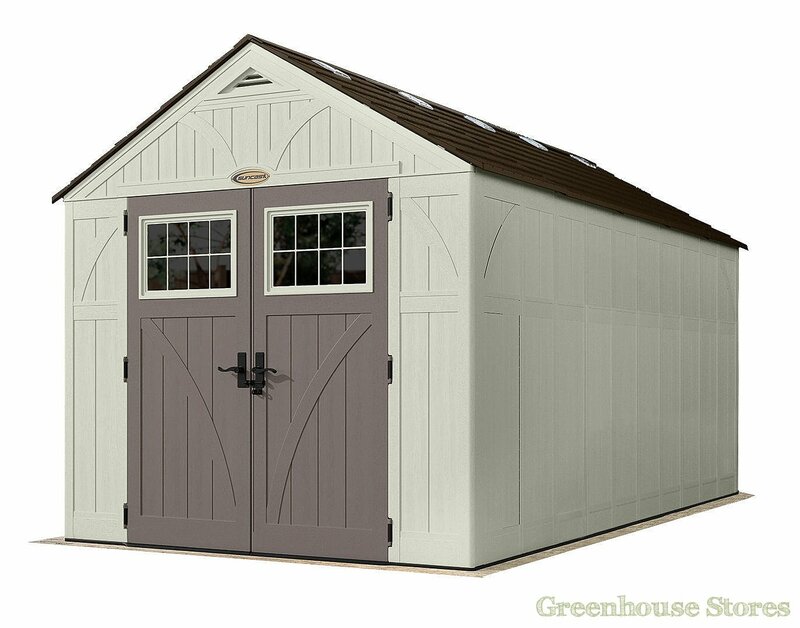 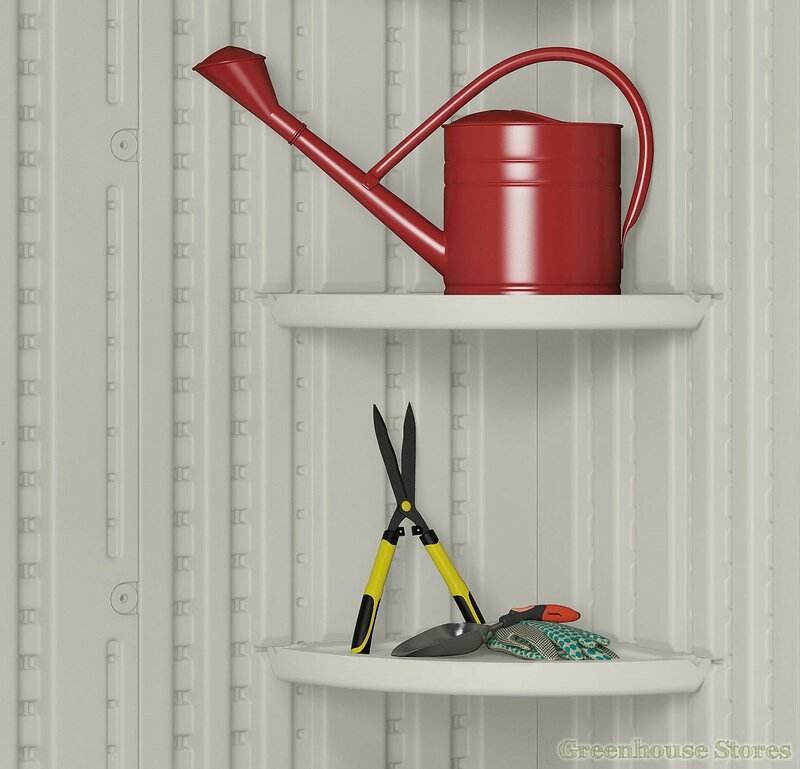 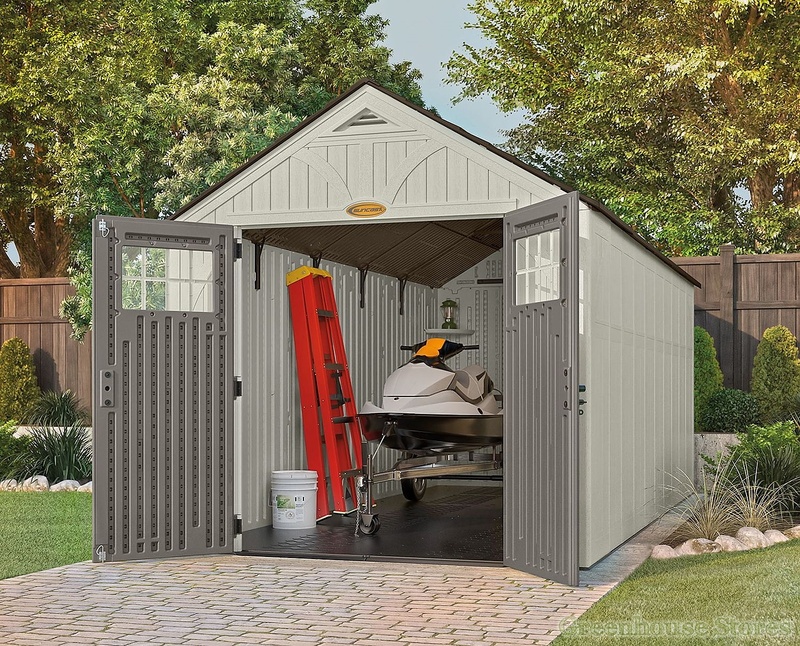 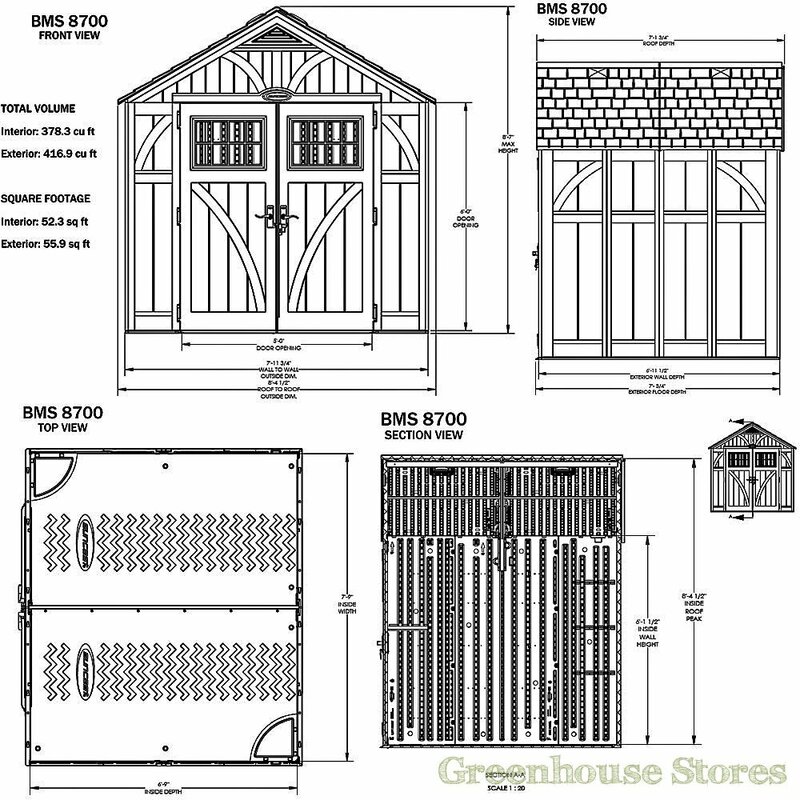 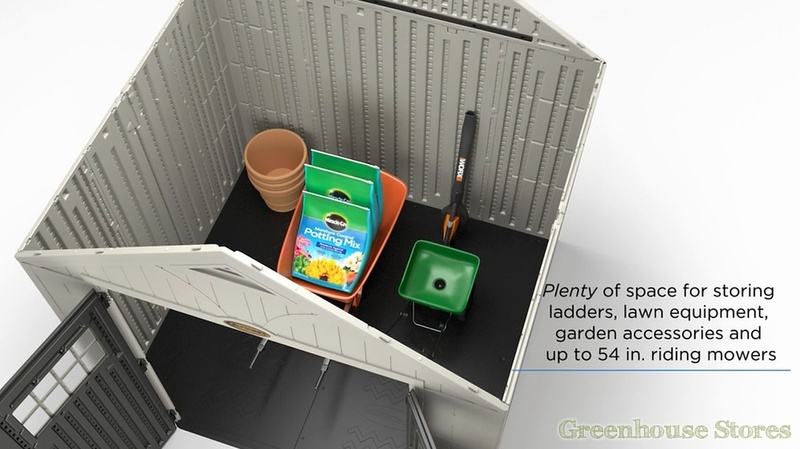 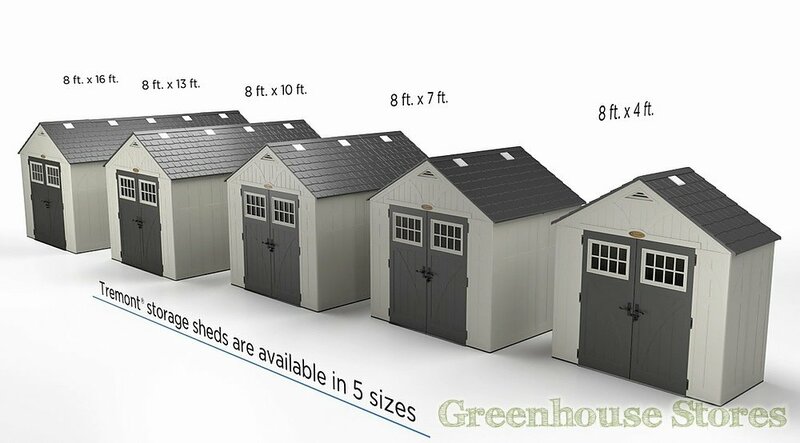 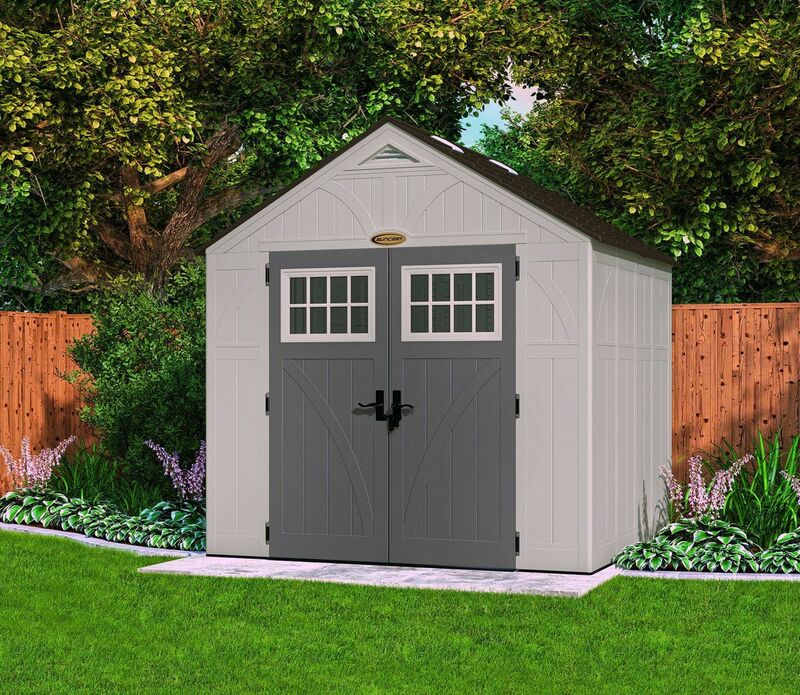 The Suncast 8x7 Tremont Four Plastic Shed has a large 378 cubic foot capacity to store everything from your garden furniture to the family bikes. 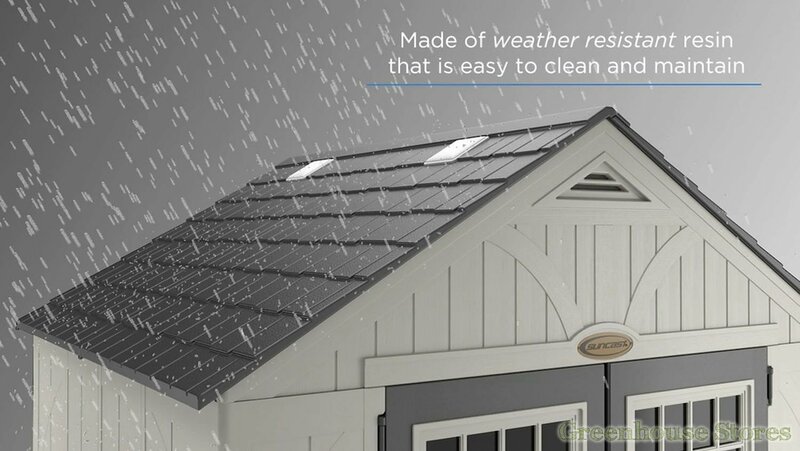 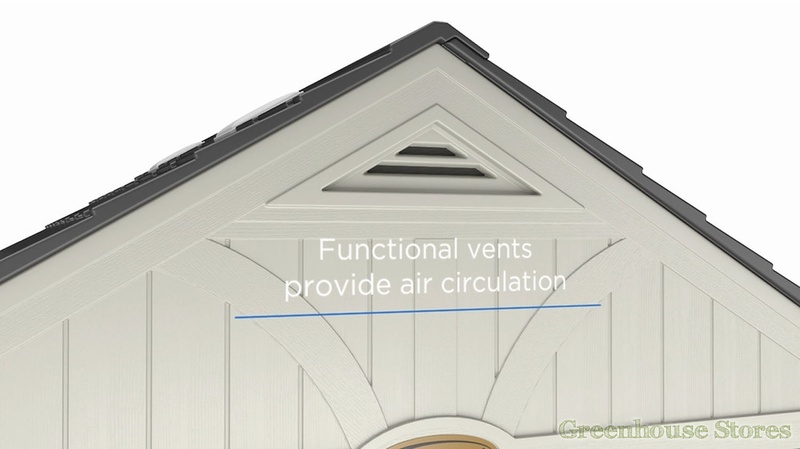 The Suncast 8x7 Tremont Four storage building has built in ventilation to help minimise the build up of condensation in the shed. 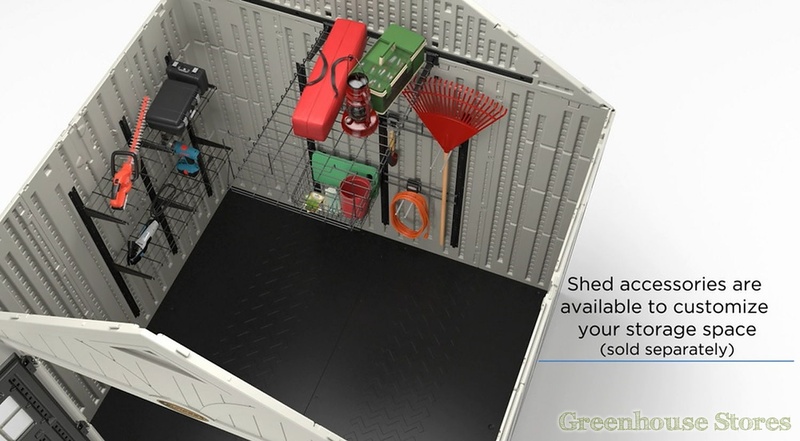 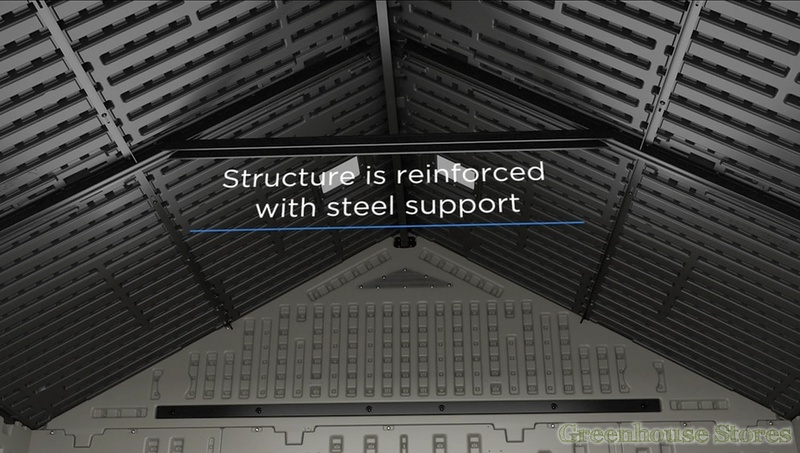 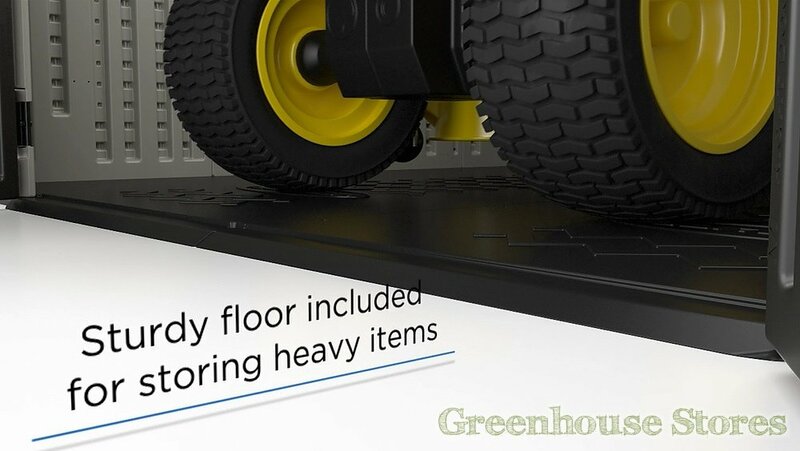 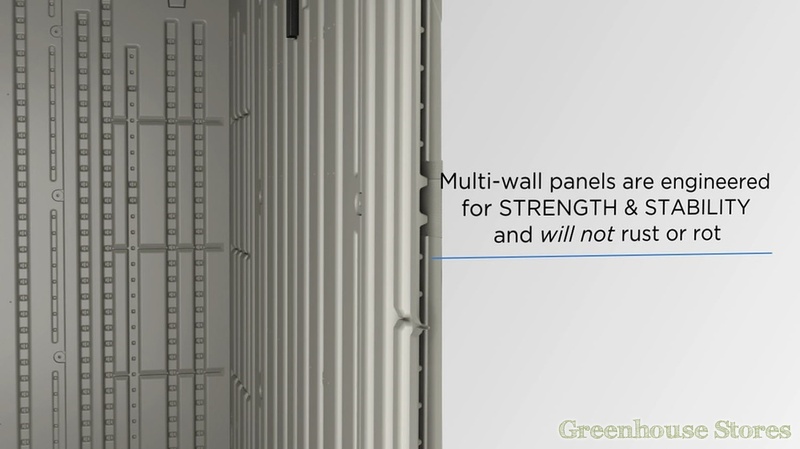 The reinforced floor panels are designed to take heavy items like mowers and mobility scooters. 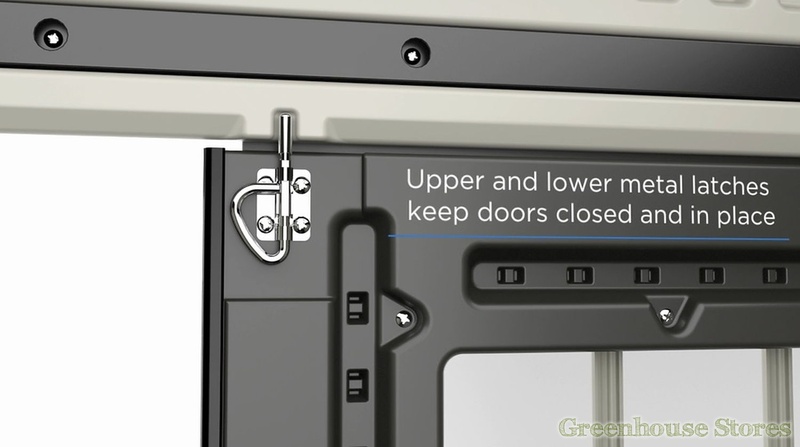 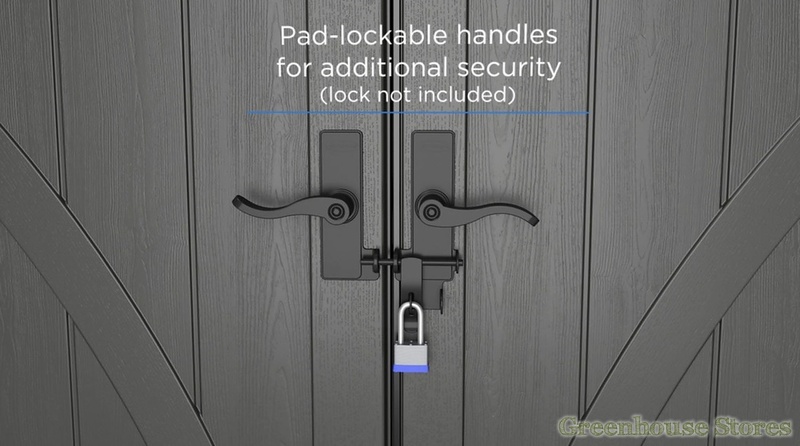 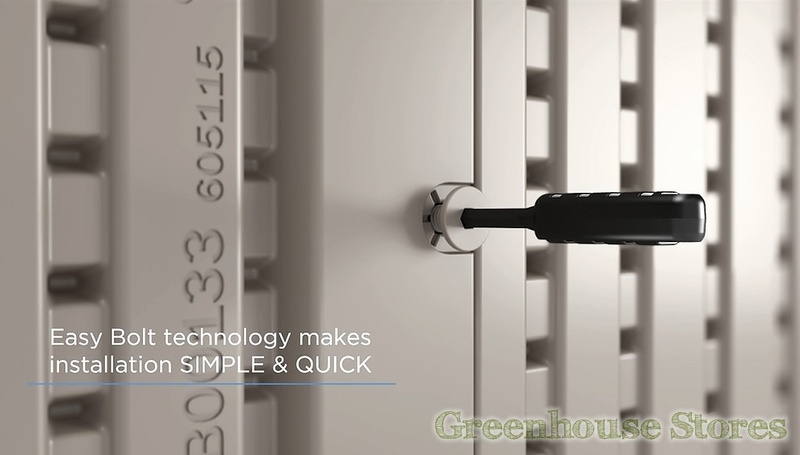 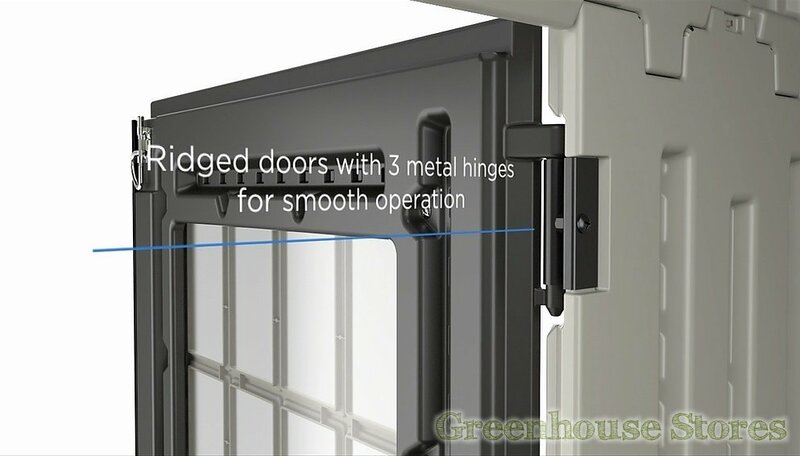 The lockable double doors ensure easy access with added security.